Radio Next 93.2 FM Live Streaming Online . Listen Over 50 Bangla Radio Stations Online . Enjoy Live Stream of Radio Next FM Online . 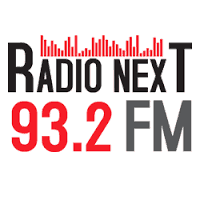 Radio Next 93.2 was launched on May 6, 2015 . Radio Next is a broadcasting project of Nreach-Net (Pvt.) Ltd. It is a member of Nitol-Niloy Group. FM will start playing automatically . This radio plays well in Google Chrome browser and all android and Iphone devices . If FM is not playing automatically refresh the page once and press play button . Address : 17 Bir Uttam AK Khandakar Rd, Dhaka, Bangladesh . Listen Live Radio Copyright © 2019.